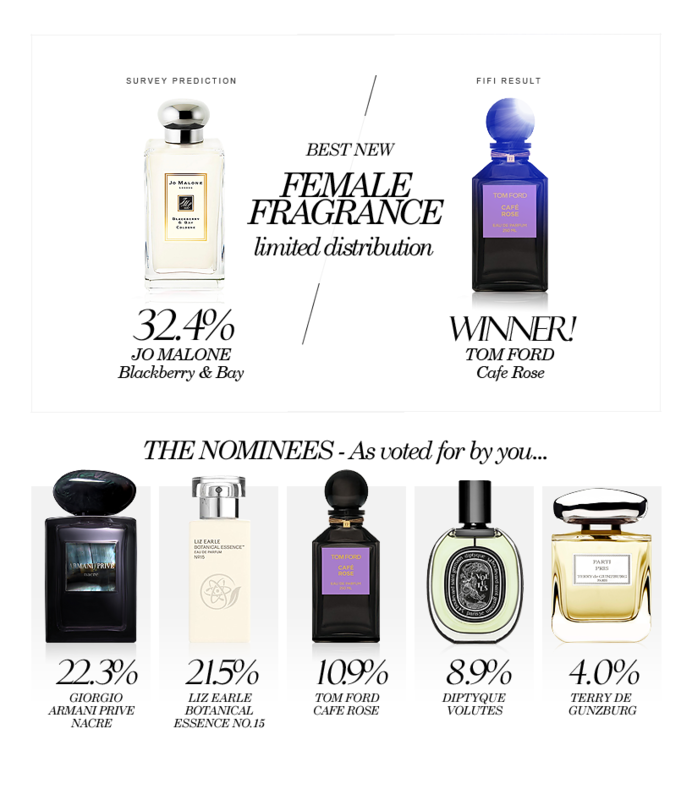 We recently ran a survey in the run-up to this year’s illustrious FIFI Awards, asking you for your personal picks in four different categories: Best New Female Fragrance, Best New Male Fragrance, Best New Female Fragrance in Limited Distribution and Best New Male Fragrance in Limited Distribution. 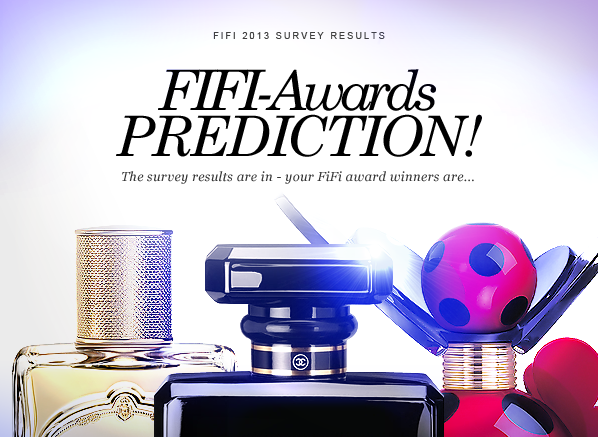 We’ve gone through all of the results, collated the findings and matched them up with the actual winners of last night’s awards ceremony in this FIFI Awards edit. 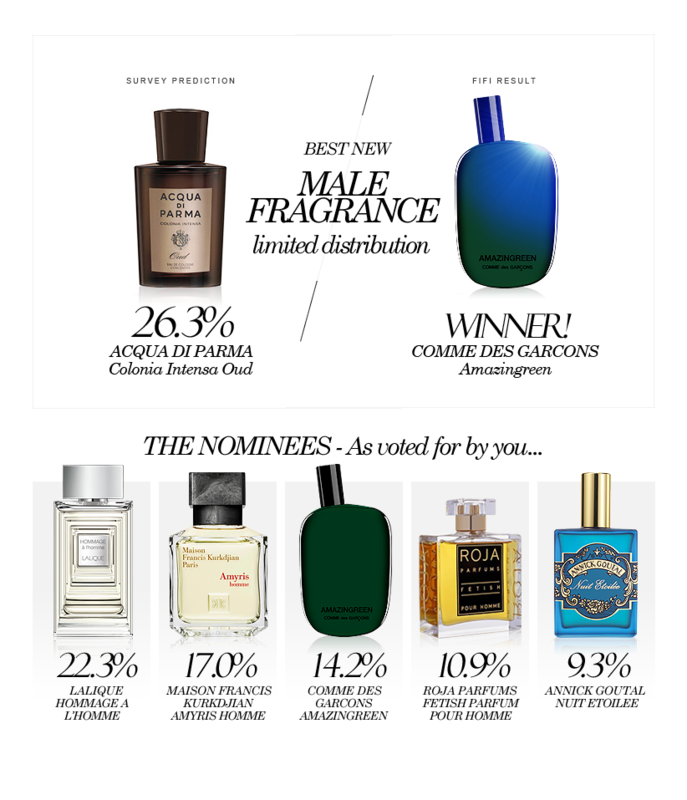 Do you agree with the results? What are your thoughts? 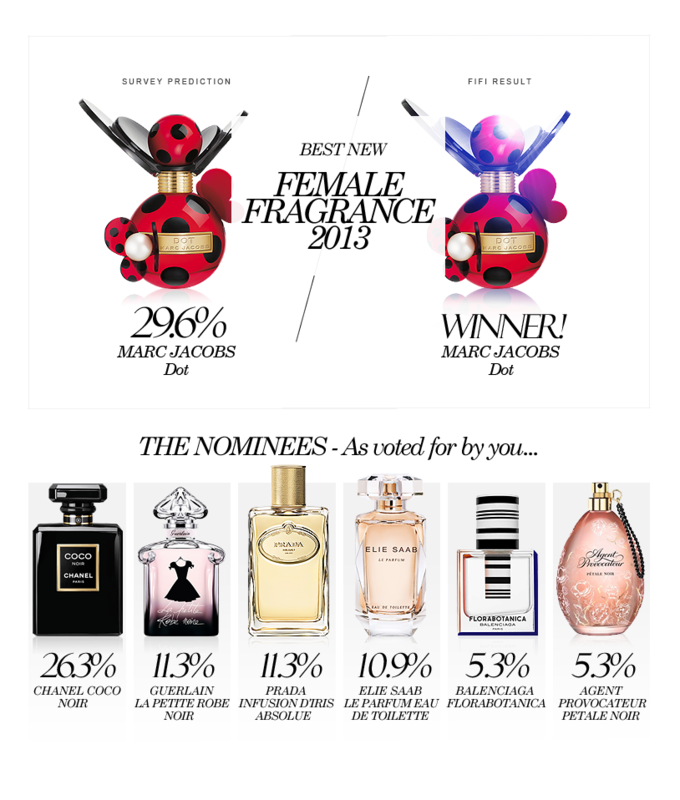 Do you own any of the winning fragrances? 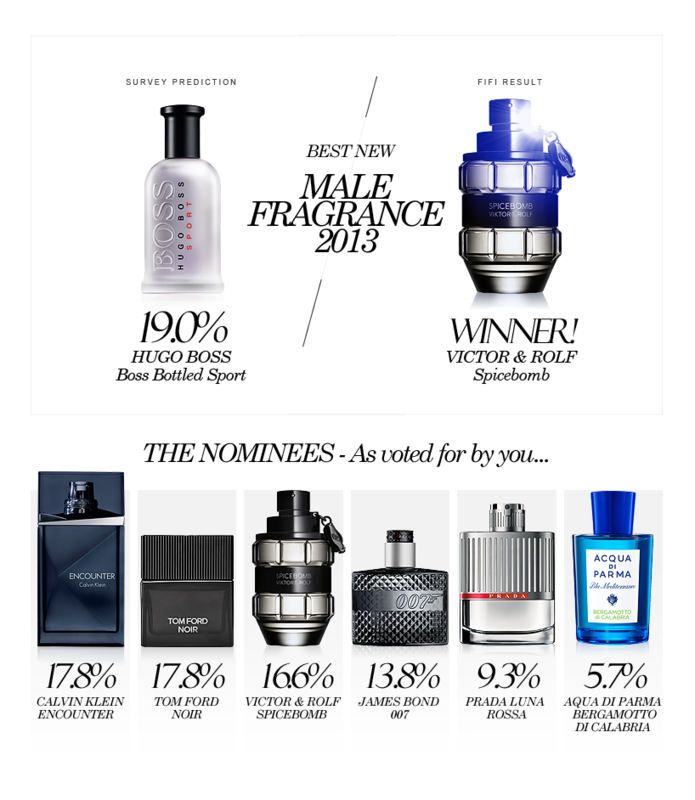 This entry was posted on Friday, May 17th, 2013 at 2:30 pm and is filed under Fragrance, Special Post, Survey. You can follow any responses to this entry through the RSS 2.0 feed. You can skip to the end and leave a response. Pinging is currently not allowed.